Today I went to Cornwall Park, which is a lovely park in the central suburban Auckland. 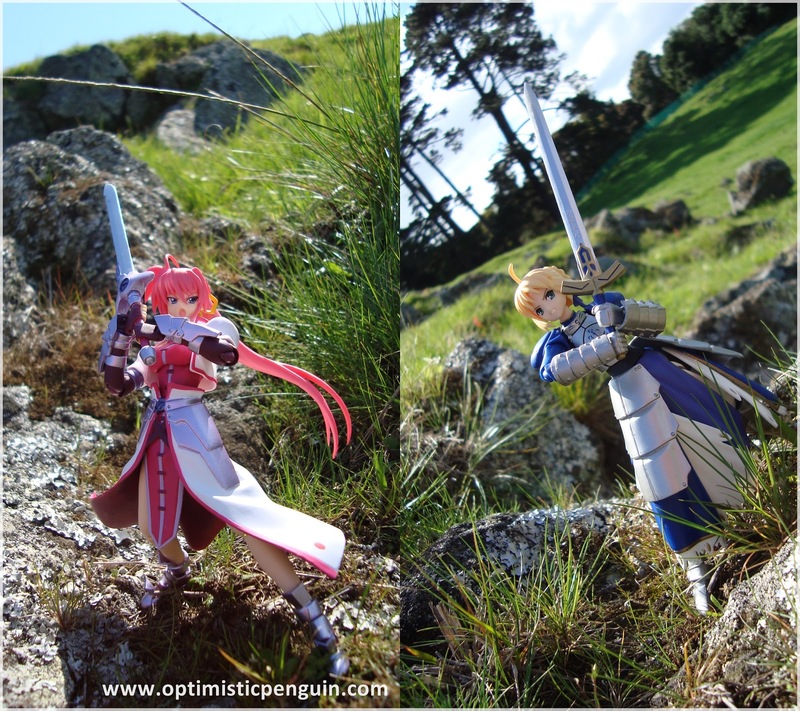 I went to take some nice photos of my figures, so Saber, Signum and I made our way over to the park, which is up the road from me! 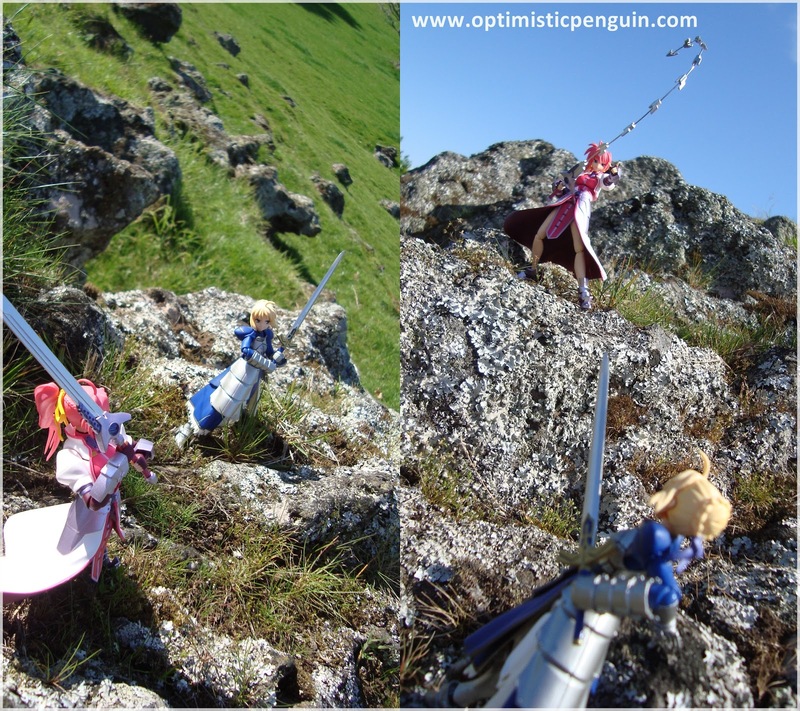 Here is a photo of Signum pretending to hold up the One Tree Hill monument. Yes I know there is no tree on that hill, well some protesters ages ago tried to cut the tree down, complaining that it wasn't a native tree or something like that, anyways for ages they tried to support the tree and get it to stabilize itself, they used poles and ropes and all sorts, but it just didn't work and the tree was dying so they had to cut it down. It was so sad the tree had been there as long as I've been in New Zealand, the tree was much loved!